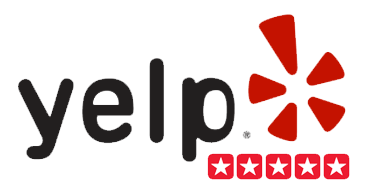 If you had a great time with us we would appreciate if you would take the time to review our services. If you ever wonder if what you do for a living makes people’s lives better, just watch this video. Thanks! 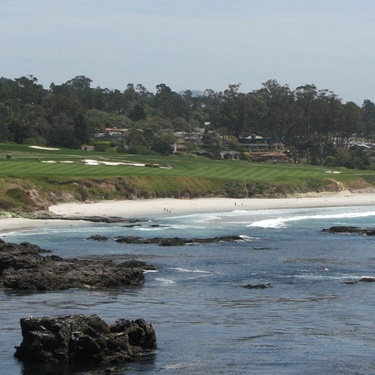 Pebble Beach was absolutely amazing. Our caddies were awesome and so was the weather. Pasatiempo was fantastic. We all loved the course. Second favorite on the trip. Thanks again for everything! Simply put it was nothing short of Amazing!! Every last detail for the trip was handled PERFECTLY!!! All we had to do was show up and have fun!! Can't wait for next years trip!! Thank You Sean!! From the first time I spoke with Sean till the end of our trip, he was amazing. 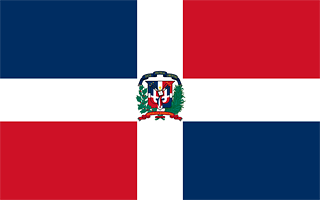 Extremely responsive, flexible, and always willing to accommodate our needs and wishes throughout the trip. We had a blast on our the trip of a lifetime. The accommodations and all the courses Sean selected for us were outstanding. Outstanding customer service! We never got paired up and played as a fivesome for at least 9 holes each day including Dye. We are talking about a Tampa trip next year. Another awesome trip with great golf courses. We trust Sean to provide top quality advice and service for our golf trips. 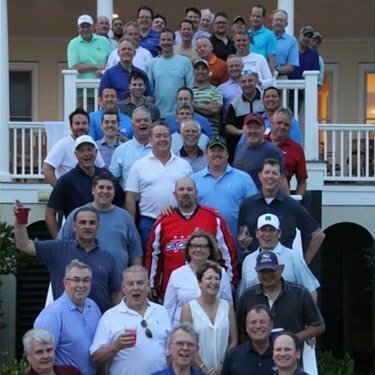 GTJ facilitates the golf courses and accommodations. 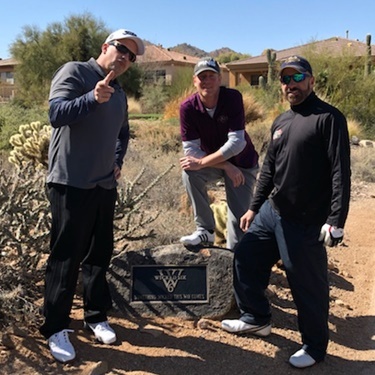 I highly recommend giving GTJ a try for your next golf vacation. 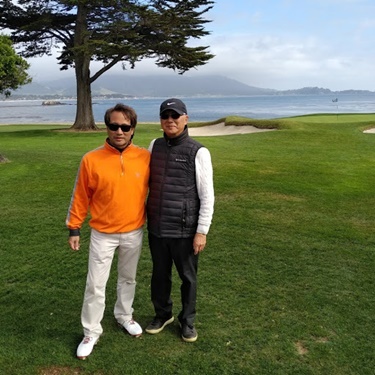 Sean organized a wonderful golf trip at Pebble. Accommodations and golf were perfect for a 5 star trip. 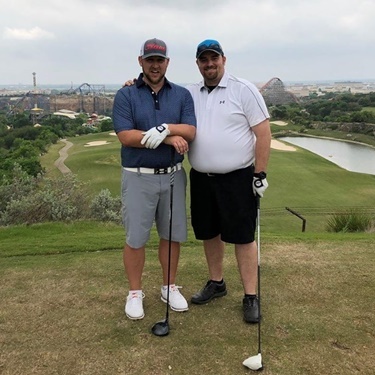 I will definitely do another golf trip with Sean’s company, and highly recommend to others. Thanks again for all of your help. You really made the booking experience enjoyable and I feel like I got to know you so well. That kind of genuine detailed service is lost these days. An amazing trip! The house was perfect and the golf courses were great! Everyone thanked me for putting the trip together but I know it was all you. I can't thank you enough for your help. Amazing! 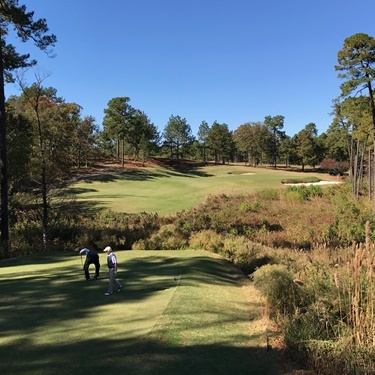 Sean was our golf sherpa, led us to the best Pinehurst golf, suggested The Cradle, eating at the Ryder Cup Lounge that made the trip special. Won't plan a golf trip again without Sean. He's the best! Sean was awesome from the word go. He accommidated us in every way possible. He made my best friend bachelor party a success. He is very easy to talk to and I would not hesitate to use him again. 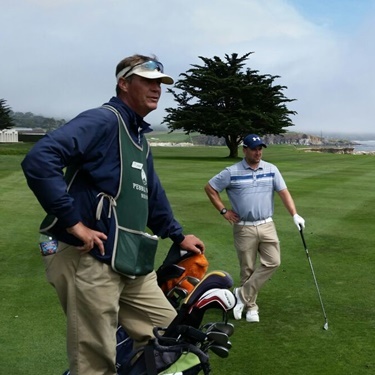 The perfect golf vacation experience largely thanks to Sean. He truly went above and beyond my expectations as golf travel expert and we will be using his services in the future. Fantastic. We had a great trip! Thank you so much Sean for arranging everything for us. It was awesome, you did a great job and we will definitely call upon you again for our next golf excursion. 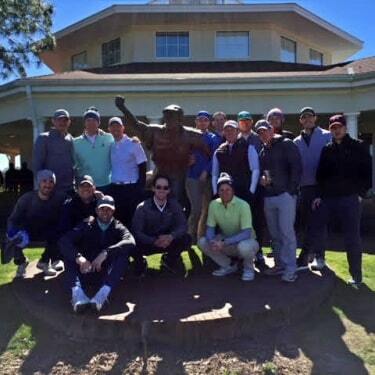 The trip was awesome and Pinehurst exceeded my expectations. 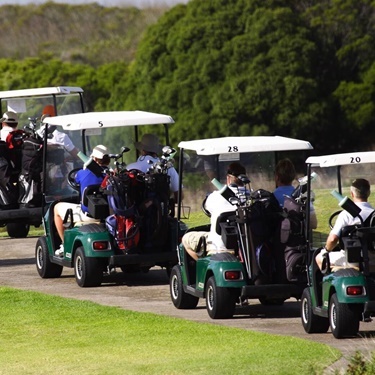 Everything from tee times, lodging, and transportation was perfectly coordinated. I'm sure we will be using your services in the future. We had a great trip. Everything went smoothly that you planned. Thank you for making all the arrangements. Should we decide to plan another golf trip sometime, we will definitely contact you. Golf Trip Junkies was an awesome experience. They managed the entire trip until we were home to the last detail. i would highly recommend them to anyone. 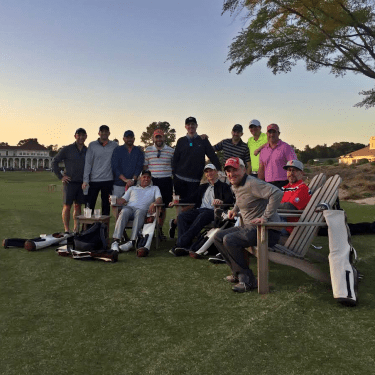 The golf team at Golf Trip Junkie went above and beyond for our Palm Springs golf vacation. A very enjoyable trip and one that we look forward to repeating next year. We'ill definitely be back! 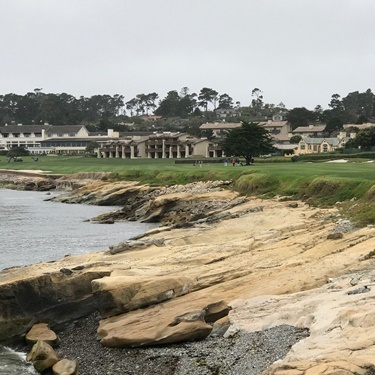 My Dad's 70th birthday trip to Pebble Beach went perfectly. Sean was incredibly responsive and helpful in the planning everything. I have used them on two trips now, and they have made the entire process easy for me and my entire group. 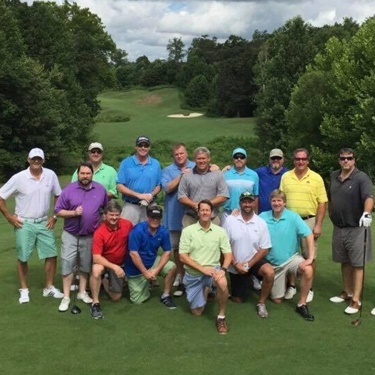 Sean and his team work hard on your behalf with the hotels, houses, and golf courses. I will never plan another golf trip without Sean. He has shown time and time again a willingness to listen, help, and accommodate. He is the most knowledgeable person in the golf travel field! Thank you for another great experience working with you and this time getting through to completion! I am looking forward to the next one! 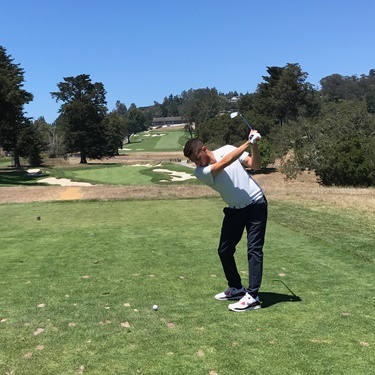 If you are looking for great customer service to answer all your questions and a professional to book your entire golf trip, then look no further than Sean and Golf Trip Junkie. 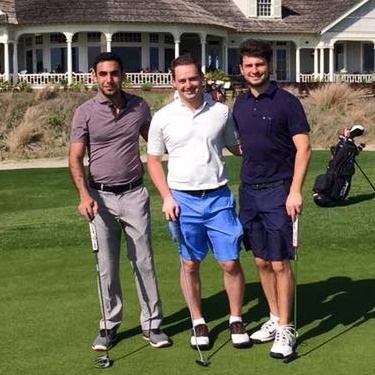 Our group never used an online company before to plan and book golf vacations before. The time it saved us, and the money, was better than we could have hoped. To say the least, our group was more than pleased with the effort from our first go with Golf Trip Junkie. We will definitely be back next year. Thanks again. Very fortunate to hire Sean Petersen from Golf Trip Junkie to arrange this for us. He's professional, humorous, communicated on a regular basis. Never lets us down. Great! We were so happy with the efforts and expertise of Sean. He planned everything from start to finish. We are now looking forward to our St Andrews trip. Sean will be leading the way!! We had a great Trip! Sean helped us pick great courses and set us up with great accommodations for our needs! Thank you! 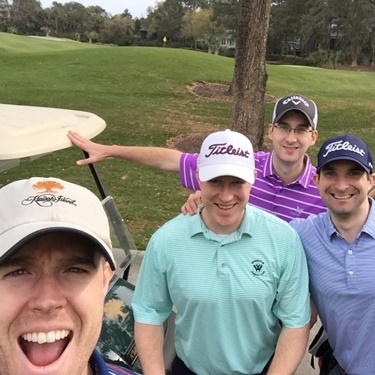 Sean and the golf trip junkie team were amazingly helpful. They planned the entire trip for us and advised us on every detail. Will book all future golf trips through them. From the very beginning of the planning process to the day we landed back home Sean took care of every detail I could think of and far more that hadn’t even crossed my mind. A great experience! Sean with golf trip junkie was incredible. Condo, golf courses, the entire package was great! We will be using him again for all our golf vacations. 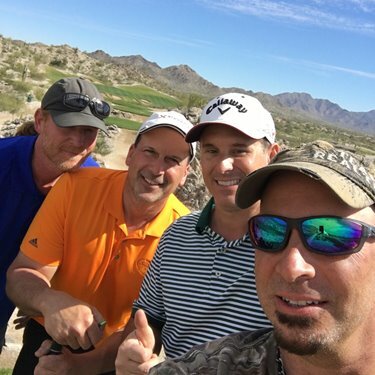 I couldn’t recommend Sean and golf trip junkies more highly. They went above and beyond to find the right destination, get us a great price, and make sure everything went perfectly. Very happy! 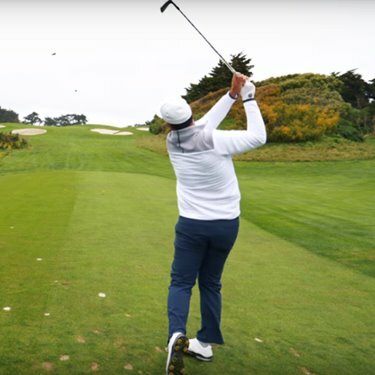 An awesome golf vacation set up through Golf Trip Junkie! Sean was very professional and easy to work with. He picked the courses and resort, planning everything. Will definitely use him again! Sean was responsive and available 24/7 whenever needed. He is service oriented and made us feel like the only customer he was working with at the time! Excellent Golf at Sea Island and Players championship in a 4 night trip from Nova Scotia, Canada . No hitches whatsoever , need I say more ? Great customer service...it’s at a level we expected. From start to finish this was the trip of a lifetime and it could not of been easier without Sean at Golf Trip Junkies. He is the best in the biz! Thank you! Sean arranged a perfect trip for us. We played 5 awesome rounds in 4 days and had 3 perfect villas for our group. Couldn't be happier with the whole thing. 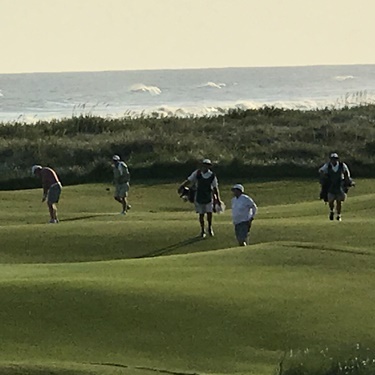 Couldn't have been happier with the last minute plans I was able to make through Golf Trip Junkie in the Sand Hills of NC., all organized by Sean just a few days prior at a great price. Can't recommend him highly enough. Sean was responsive, easy to work with, and thoughtful. He made sure everything went off without a hitch and he was transparent every moment. 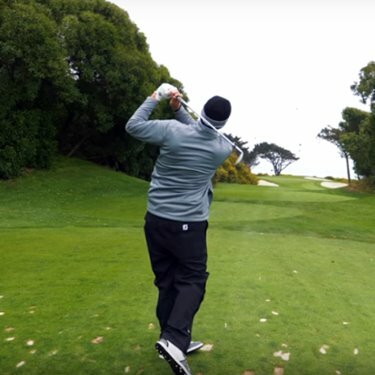 I would 100% recommend using Golf Trip Junkie for our future trips! Sean was on top of our golf tournament from day one. We had a flawless trip to Tampa Bay. I can't thank you enough Sean. Thanks for such good service. Next year, Palm Springs! It was a great experience working with Sean from Golf Trip Junkie. Our trip to Bay Hill was very memorable because of him. You can book with confidence with him! 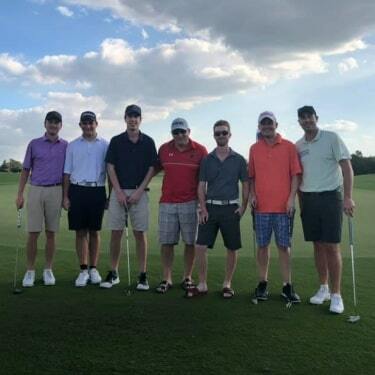 Thanks for the incredible golf trip we just had! What a blast! Looking forward to the same next year! Looking for 8 golfers for the next trip. My group was very pleased with the courses and I thank u again for your services that you provided. Will absolutely recommend your service. 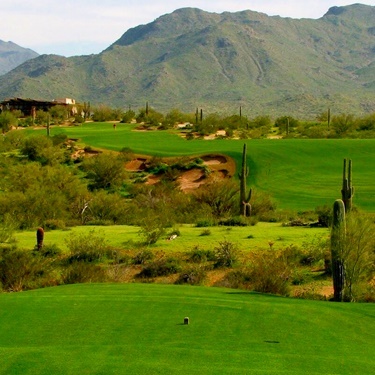 FYI my groups favorite courses were the We-Ko-Pa courses...Awesome condition and awesome views!!! Sean was wonderful and everything went smoothly. Sandhills NC is a fantastic golf area. I definitely recommend! Sean was awesome quick to respond with changes. Website easy to navigate. Once arrived at destination accommodations and golf as promised. Will definitely book with him again. Sean really goes out of his way to stay on top of all details and keep in close contact before and throughout the trip. When there was an issue at one of the courses (an issue that had nothing to do with Sean) he was on the phone with the pro shop for as long as it took. Very happy to have come across GTJ! We had an amazing time and I absolutely plan on working with Sean for any future trips!! 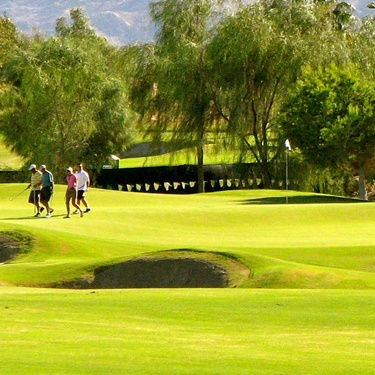 One of the easiest and hassle-free golf trips I've ever taken. Sean was spot-on on all the details. Why research on the planning when you can just leave it up to Sean? Just need to work on your game!! Been to many golf trips and this one was truly one of the best. Sea Island was amazing. Thank you Sean Petersen from Golf trip junkie for making it happen. Thanks Sean. We had a great time. Golf course was amazing and we would do it again. Guys were happy and we had lots of fun. 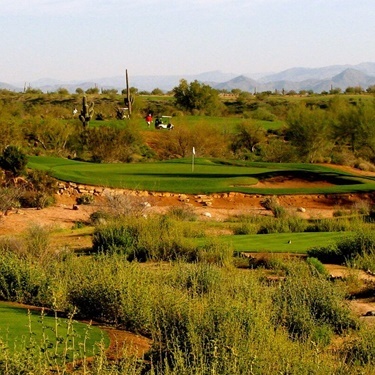 We enjoyed playing this type of course style and have no regrets with its selection. Awesome time for its price. Thanks for making this trip happen! 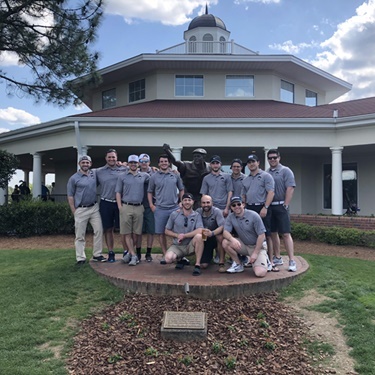 We were a part of a large group outing at Barefoot Golf Resort, and we were nothing short of thrilled with our golf vacation from Golf Trip Junkie. They were great to work with, did everything they promised, and more! Definitely highly recommend them for golf holidays. Great prices, and go above and beyond. Thanks! Admittedly, our group is not the easiest to work with, but Sean never showed any frustration. Just kept plugging away giving us suggestions and ideas for our Hilton Head golf trip. Always professional and a sense of humor to keep things like. Thrilled to have found Golf Trip Junkie. Looking forward to booking our next trip. Pinehurst or Kiawah??? A last minute trip to Orlando turned out better than we expected. Some great golf and our room was just right, size and location. We’ll be back when planning our Hilton Head vacation. 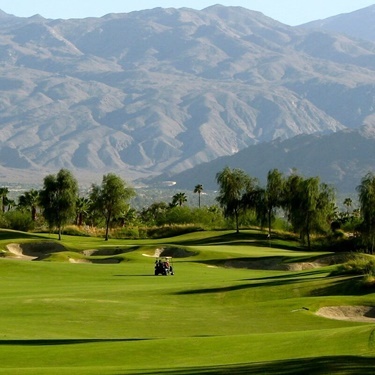 A quick thanks to golf trip junkie for setting up our Palm Springs golf vacation. 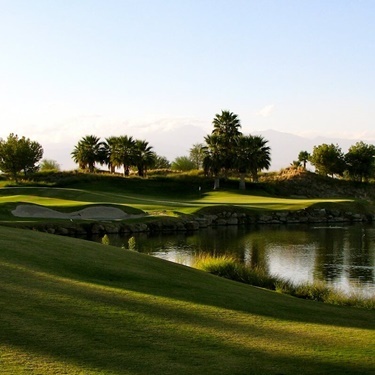 We played PGA West Stadium and Nicklaus Course, plus Silver Rock golf course. Great suggestions. Great fun! Everything worked out great. all the details were thought through and service was easy. golf trip junkie was able to secure tee times and pricing that we wouldn’t have been able to get on our own. The unit we stayed in was a bit run down on the exterior, but modern on the interior. Kiawah Island is a nice place with great amenities and easy access. Sean did a great job putting all aspects of this trip together. He did a very good job of communicating all of the details, he gave us options and he followed up to make sure we meet our obligations in a timely manner. He made it about as easy as it could have been for a trip like this. Great trip overall and Sean was incredibly responsive with any requests. We had no issues throughout the trip and the service at the resort was tremendous. Great communication from start to finish. Wonderful suggestions on golf courses. They planned everything and we couldn't be happier with GTJ.